I had pin straight hair until puberty hit so until then my hair was really a non-issue. Fortunately, or maybe unfortunately this was also in the late 80s when perms were in so I really had no idea my hair was actually naturally curly. When the perm phenomenon died out, I was left with unmanageable frizzy hair. I can remember times that I wore it curly, but not for very long and I always reverted back to straightening it. I never really liked my straight hair. I felt it was lifeless and just didn't suit me. 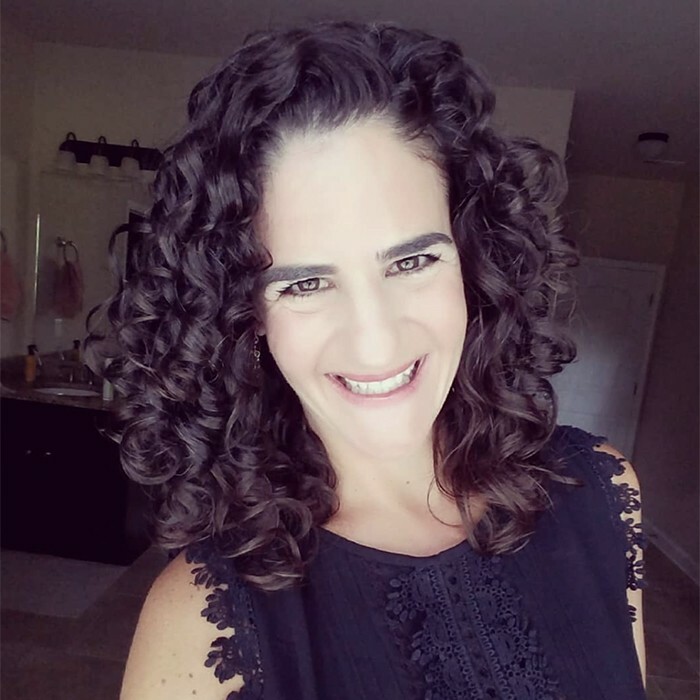 In my 30s after two pregnancies I realized that my curls had gotten more curly and started to experiment a bit more with them. 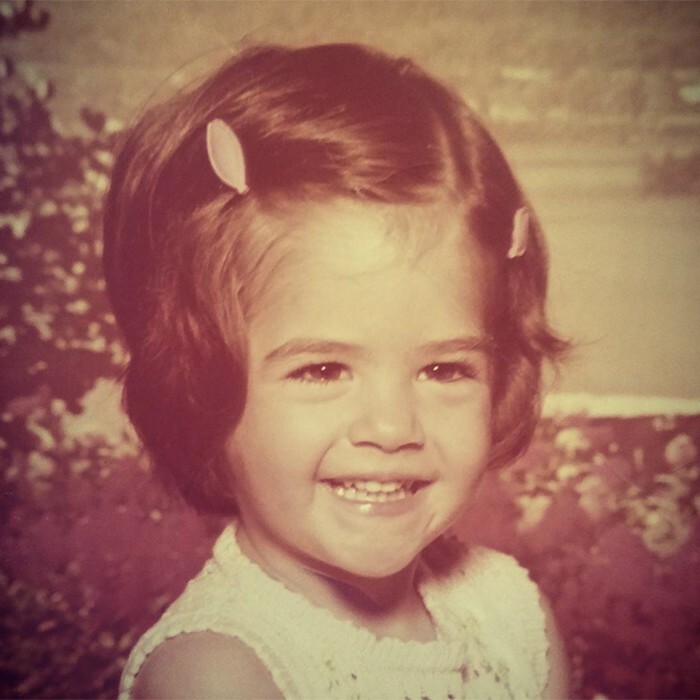 It wasn't until my 40s that I really felt I knew who I was and wanted to embrace my true authentic self. I put away the flat iron and would alternate between blowing out my curls and wearing them natural. The more I wore my hair curly the more I felt like myself. With the help of this amazing naturally curly community I was able to learn how to take care of them and never looked back. When I first relocated to South Carolina I met a friend for cocktails at a local rooftop bar. I wore my hair curly and didn't have to worry about my blow out getting frizzy or my hair looking horrible by the end of the night. Anyone who lives in or who has traveled to the south knows what a big deal this is. The humidity is brutal, but I wasn't concerned with it. I enjoyed myself and was fully engaged in the evening not worried about my hair at all. It was truly empowering. @curlysue291, @goodgravyitswavy, @powerdomi, @curlsbyshelly ,@themestizamuse, @mymanecurls, @curlicue_lu, @marisascurls and @curly.bailey. I love curls with different textures than my own. This community is so amazingly diverse and beautiful. I have so many more and could go on forever. Just 1?! I would have to say my Ultimate Hair Towel by Hair Repear. I used microfiber towels for so long, but switching to this towel was such a game changer in regards to reducing frizz and promoting curl clumps. The Puff Cuff, the Xtava Black Orchid Diffuser, a Bliss Silk Pillowcase and The Spriggle would also be close seconds. I apply all of my products to soaking wet hair in the shower. I apply a bit of each product while right side up and then flip my head over to apply the rest. I usually use praying hands method to apply my last styler and then only scrunch using my Hair Repear towel. Once out of the shower I will micro-plop and then diffuse after I have applied my make-up. I absolutely love Innersense Organic Beauty Products. Their I Create Lift Volumizing Foam is my holy grail. I also recently discovered Original Moxie products and I am loving their gels. Exactly 6 months into my journey I over-moisturized my curls and had Hygral Fatigue. My curls had come such a long way and this was a major set back for me. I had no idea how to reverse it. It was the really the only time on this journey that I wanted to give up. Luckily I found some helpful articles on naturallycurly.com and was able to get some advice from @themestizamuse on Instagram. Without her help, I honestly don't know where my curls would be. She is my ultimate curl guru!! Deep Conditioning with my Thermal Haircare Hot Head has had a huge impact on the health of my hair. As someone who workouts 4 times per week I have to wash often. This means diffusing often, which can dry out my hair. I always deep condition at least once per week, but when my hair is dry deep conditioning twice a week has kept it moisturized and healthy. Embracing your true authentic self at any age is so empowering and liberating. Now at 45, I have more confidence than I ever had in my 20s and 30s and I think embracing my curls has so much to do with that. 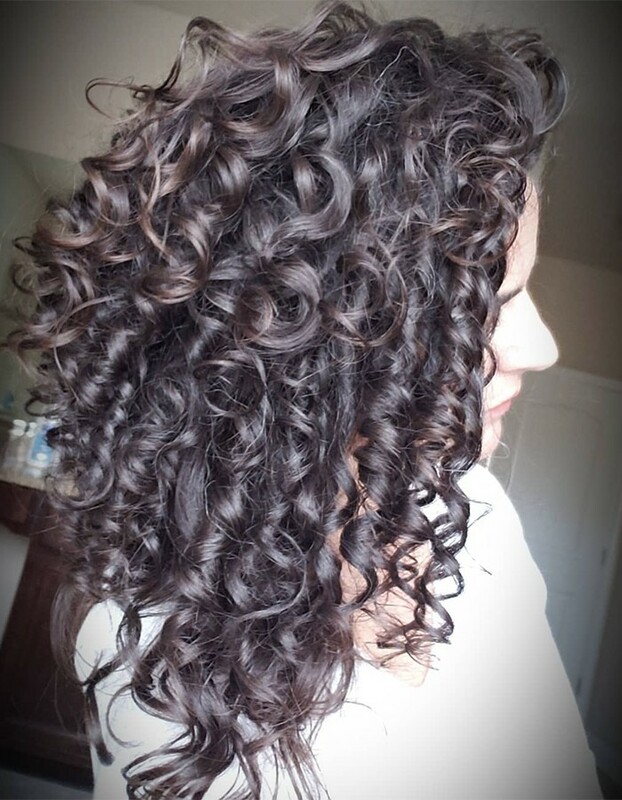 I think often times curlies on this journey give up before they reach their true curl potential and that is just a shame. Yes, it is a lot of work, but my curls are still changing and improving almost 2 years in and I would have never known their true potential if I had given up at the start.